California Gold Country is home to a unique range of varietals that it infuses with its distinctive terroir. 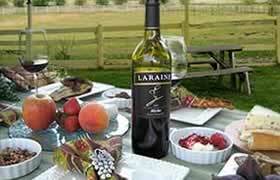 Wines here are produced in small batches or by family-run wineries, leading to high-quality wine made with care. In addition to this dedication to quality, winemakers in this region pay special care to sustainability and using organic methods. Here are Calaveras’ wine varietals, explained! The combination of the climate and soil found here produce a region suited to growing Italian, Portuguese, and Spanish varietals. There are over 50 different varietals to discover, each with their own distinctive characteristics. You’ll also find a range of French varietals here. Each vineyard and winery has its own way of doing things, so even if you’ve had wine made from these varietals before, it will likely have some subtle differences through its expression of the local terroir. Calaveras County is known for its rich reds, but that doesn’t mean the other types don’t have something special to offer. Calaveras County has a hot, dry climate. However, cooling winds that come from the Sierra Nevada Mountains help to create a significant difference in daytime and nighttime temperatures which leads to the development of rich fruit characters in the grapes. French grapes you’ll come across include Alicante Bouschet, Cabernet Franc, Cabernet Sauvignon, Chardonnay, Chenin Blanc, Cinsaut, Gewurztraminer, Malbec, Marsanne, Merlot, Petit Verdot, Petite Sirah, Pinot Noir, Roussanne, Sauvignon Blanc, Sémillon, Syrah/Shiraz, and Viognier. Popular red varietals like Barbera, Brunello, Montepulciano, Nebbiolo, Negroamaro, Sagrantino, Sangiovese, Teroldego, as well as white varietals like Muscat, Pinot Grigio, Rolle, and Vermentino grow here. Portuguese grapes include Touriga Naçional and Verdelho. Spanish whites found here include Albariño, Godello, Grenache Blanc, Treixadura, and Verdejo, and Spanish reds include Carignane, Graciano, Grenache, Mourvèdre, Tempranillo, and Toro. 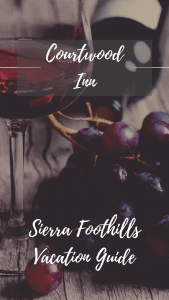 If you are in search of wines made from specific varietals, the Calaveras Winegrape Alliance features a list of all the different varietals you will find in the region, as well as specific wineries where you can try them. 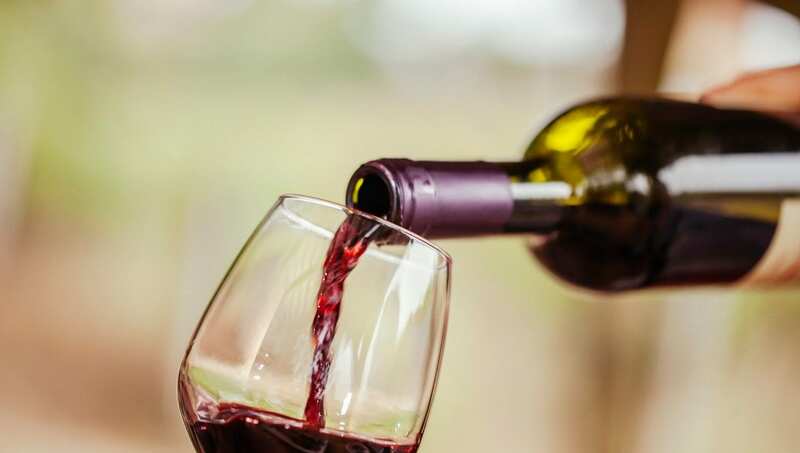 The wine industry here is thriving, though, and a visit centered around wine might be better served by tasting the offerings from various wineries throughout the area on a wine tour. Spend some time on Main Street in downtown Murphys, and you’ll be within strolling distance of many tasting rooms. In addition to the wineries and their tasting rooms, Murphys enjoys several wine-centered events throughout the year. Some of the most popular include Murphys Presidents’ Weekend, the Calaveras Grape Stomp, and events at Ironstone Vineyards—don’t miss their summer concert series! Courtwood Inn is just outside of Murphys, where many of Calaveras County’s vineyards are, so you’ll be close by if you want to spend a day tasting your way through the terroir. If you’re not sure where to start, leave it to us with a Courtwood Wine Tour! Get a behind-the-scenes look at the Amador and Calaveras wineries and enjoy a delicious picnic lunch at a California Sierra Foothills winery. We’ll drive you to each location, so you can sit back and relax. Guests of Courtwood Inn receive a 10% discount on the tour. Our gorgeous eco-friendly lodge sits atop a hill overlooking the San Joaquin Valley, with the foothills rising in the distance. Each room is tastefully decorated with a tennis theme and features luxurious beds, a large Jason MicroSilk Hydrotherapy tub, and exquisite touches like soft bathrobes and sumptuous linens. You’ll also have your own private balcony with sweeping views of the valley—sip a glass of wine sitting at your bistro table as you watch the sun set. 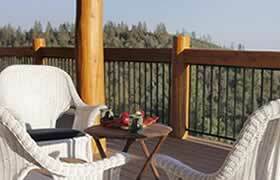 Be sure to take a look at all of our beautiful accommodations and book your relaxing stay in Calaveras County today!